I’m truly impressed by RsyncX, a free OS X backup utility. Now that hard drive size has outstripped the backup abilities of your standard DVD burner by a factor of 20 or so, I think your best bet is to keep a current copy of your hard drive on a large external drive, and that’s exactly what RsyncX lets you do. Step 2. Next, start up RsyncX, drag your original drive to the Source field, and your backup drive to the Destination field. Be sure not to get them mixed up! Step 4. When you’re ready to start, click Synchronize. For an average-sized drive, this first backup is probably best left running overnight. Step 5. 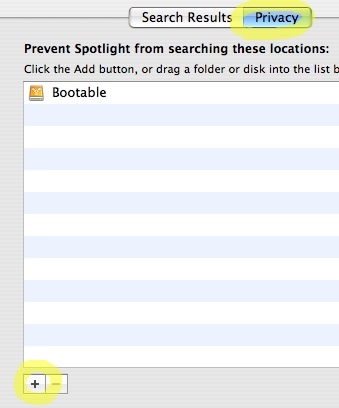 For subsequent backups, use these settings, so you copy over only files that have changed since the last backup. The Remove Unmatched setting deletes any backup files that are no longer present on the original drive–I think this is a good thing, because it’s best if you use RsyncX to keep your backup drive perfectly identical to your original. 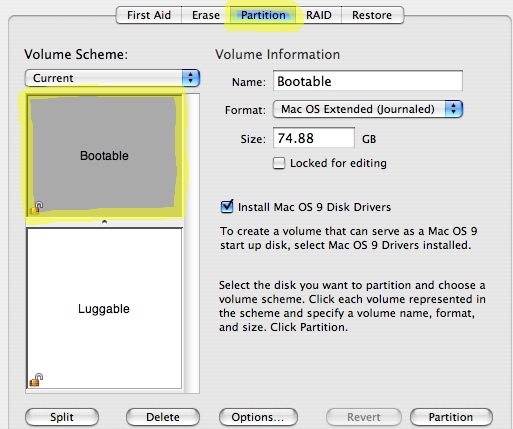 You can use another partition, or another drive, for general storage purposes. Step 7. Finally, go to the Startup Disk preferences and try booting off your backup drive. (Be aware that a backup created on an Intel Mac will only be bootable on Intel Macs, although you can still read the files themselves on older machines.) Don’t forget to switch back when you’re done!